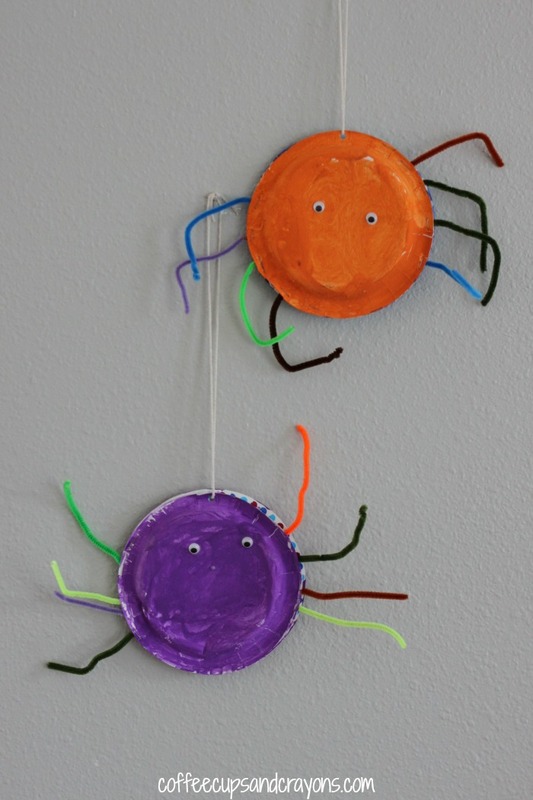 Our house is filled with homemade Halloween decorations and one of our favorites are the paper plate spiders hanging in the playroom! They are super easy to make and can be done by kids of any age. 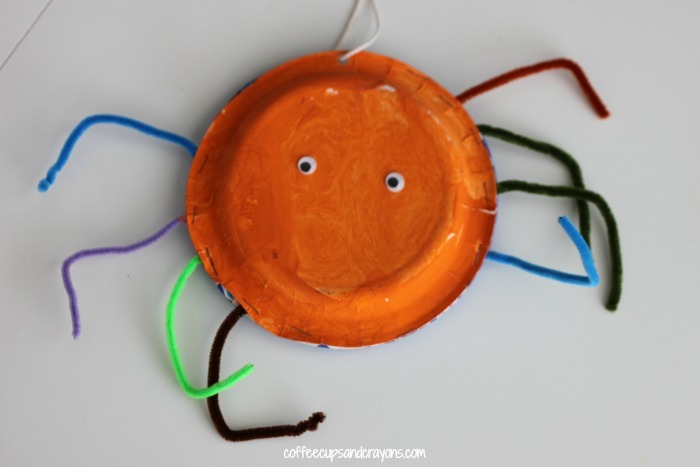 There is no wrong or right way to make a paper plate spider. I think it’s fun to just set out a bunch of supplies and see what the kids come up with. It’s also interesting to do activities like this year to year and see how their creations change. This time we used paper plates, pipe cleaners, paint and googly eyes. We punched holes in the top and ties string to them and hung them on the wall in our playroom. They encourage many rounds of The Itsy Bitsy Spider and look so cheery I think they’ll get to stick around for awhile after Halloween is over! SO cute! Pinning for letter S.
My 2 1/2 year old and I made these today and they are now hanging out our door for the month of October. My daughters turned out pretty wild just like her. A very fun project. Thank you! I love that! It’s so fun to see kids put their own stamp on a project!